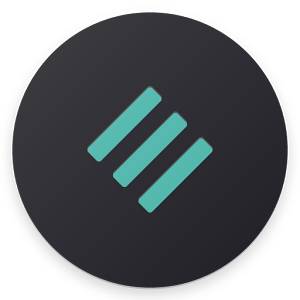 Turn the UI dark on stock rooted ROMs with this complete dark theme for the Substratum theme engine. It fully supports Android 6, 7.0 and 7.1 / Google Pixel / OxygenOS 4 / LineageOS / OMS + it works without TBO Theme ready gapps! Please read the description below before using the theme. Question: How do I apply the theme? Answer: You use the Substratum theme engine app to apply the theme. Question: Why are the notifications background white on some overlay versions? Answer: The notification colors are partially set within the frameworks and it’s not possible to theme the frameworks in all Android versions. This is why the notifications are white on some ROMs. Question: I experience other issues. Answer: Please contact me by email or Telegram for support. Issues? Clear Substratum app data and reboot.